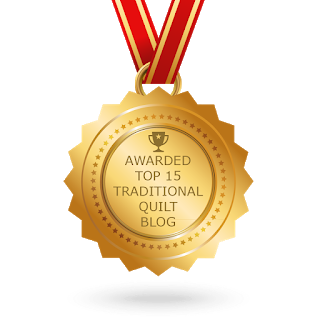 Come join me in Minnesota in June for a wonderful quilt event. 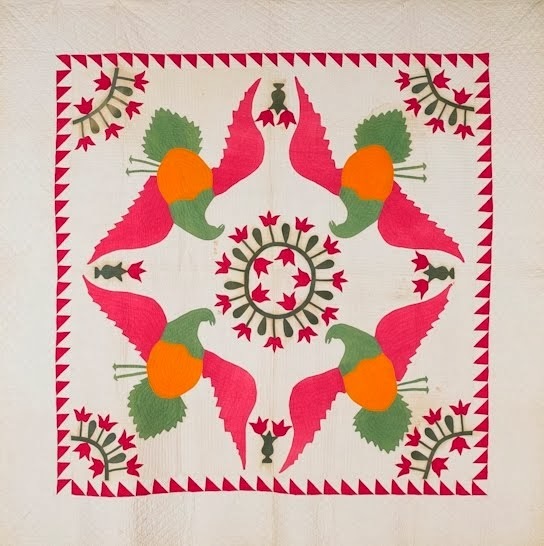 I'll be sharing lots of my antique quilts especially signature quilts and I'll also be teaching an antique reproduction quilt class and sharing my secrets for making hand applique a delightful experience. Really!! Hand applique is a lot of fun once you learn the ins and outs (inside curves and outside points). 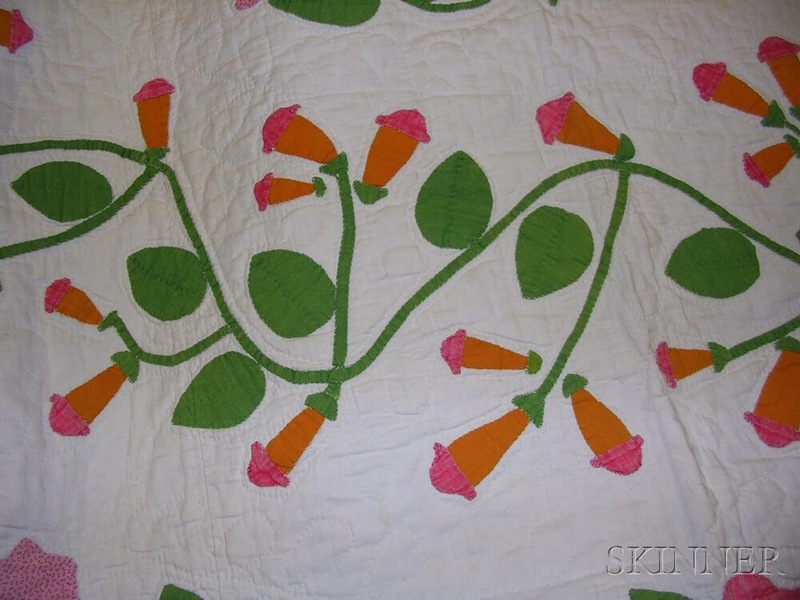 This pattern is perfect for beginners and experienced appliquers will also enjoy it. 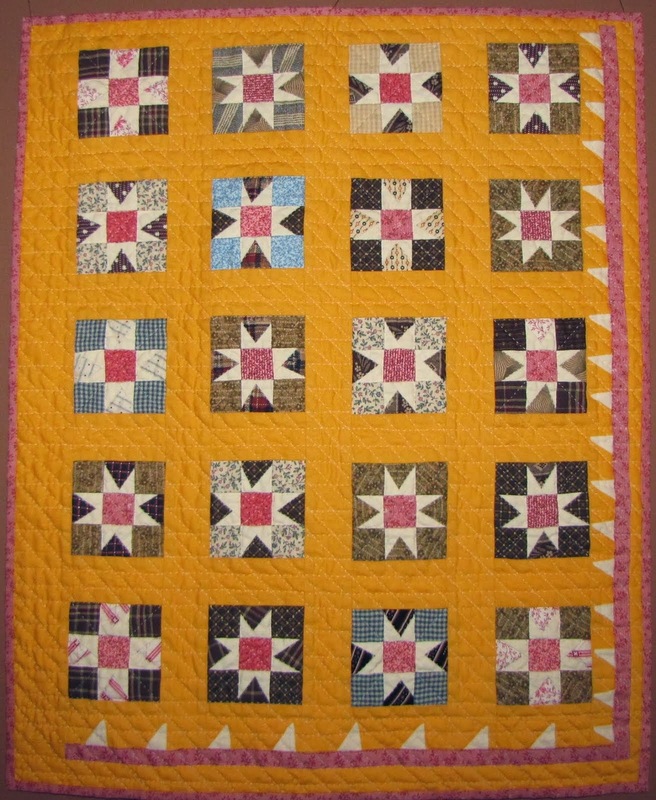 I'll also be sharing my tips for reproducing and updating antique quilts and making the old patterns simpler and more do-able. 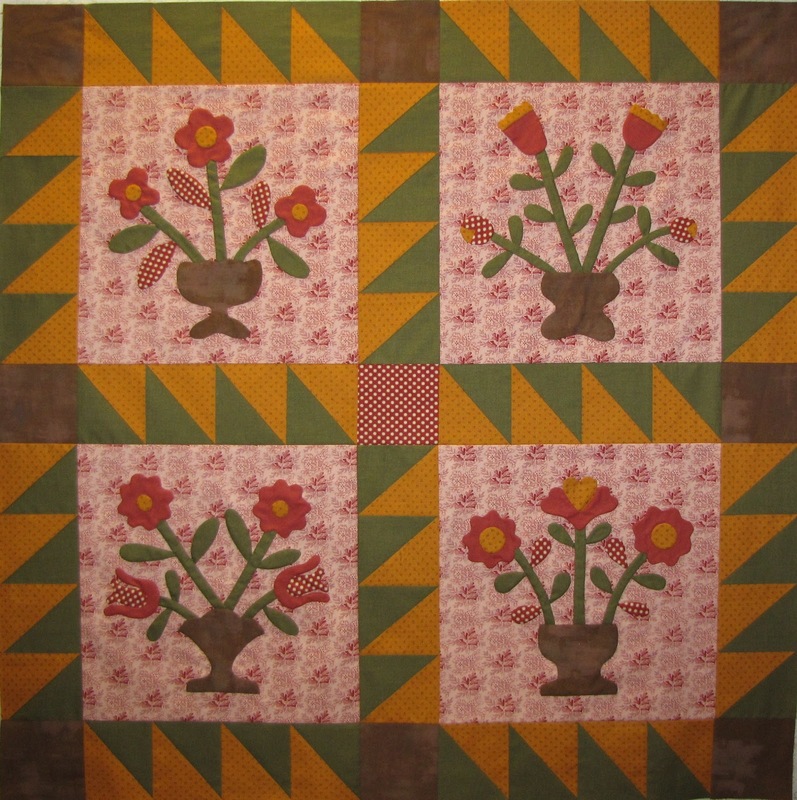 I'll even share some of the antique inspiration quilts. Here's a corner of one of my favorite quilts. 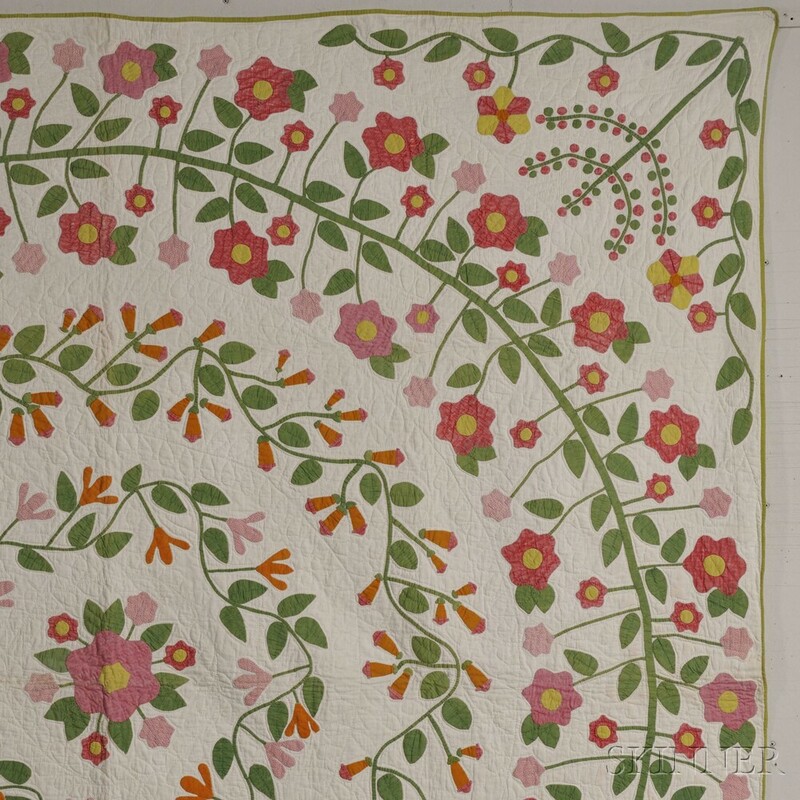 C. 1860 flower wreath quilt. Okay, now that I have your attention. I have an exciting announcement for all of you who have been asking for patterns to make my antique quilts, the wait is over. I have opened an Etsy Shop - Textile Time Travels. 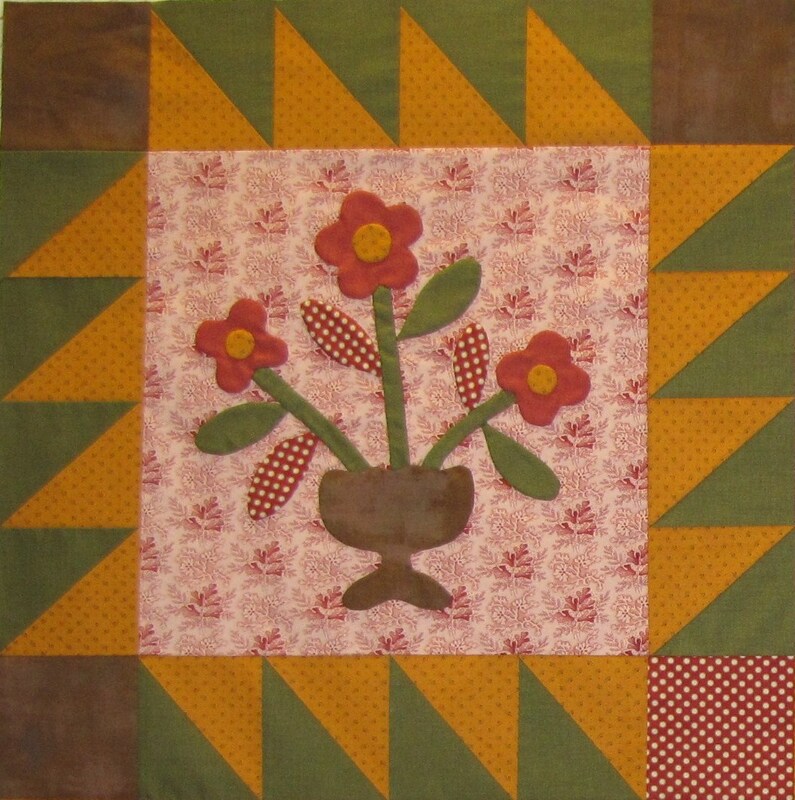 I have several of my antique and vintage reproduction patterns now available and also an update of a traditional block sampler. Hope you will stop by and purchase a pattern and favorite my shop. Here's one of the patterns ready and waiting to come to your house. Cheddar Stars Over Moab 19" x 24"
And please let me know if there are any special quilts in my collection that you would like me to pattern. I have a "to pattern" list started but would love your input. So as you scroll back to previous posts or stop by my facebook page - Textile Time Travels and see something that catches your fancy, tell me.